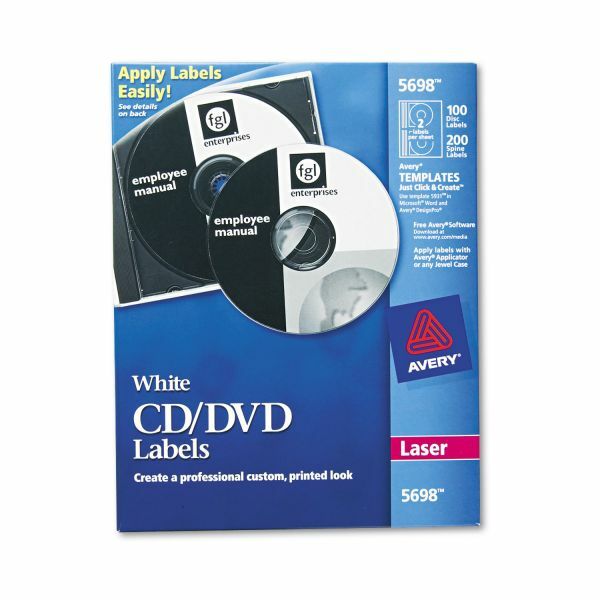 Avery Laser CD Labels, Matte White, 100/Pack - CD Disc and Spine Labels let you customize your CDs for easy identification, organization, or to add eye-catching graphics. Just use free downloadable DesignPro software and predesigned free templates that work in over 100 popular software programs. Easily print your labels, then apply to CDs using a unique patented design that centers labels using any standard jewel case. 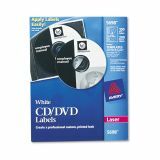 Permanent adhesive labels are ideal for organizing digital photo albums, music collections and data backups.